Product prices and availability are accurate as of 2019-04-25 03:22:40 UTC and are subject to change. Any price and availability information displayed on http://www.amazon.com/ at the time of purchase will apply to the purchase of this product. 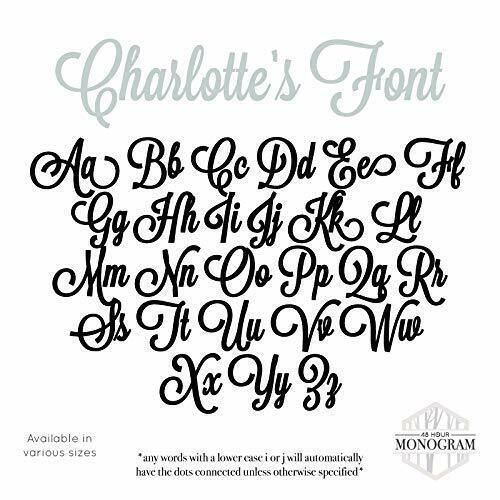 Best Monograms and Names Around! Here at 48HourMonogram we strive to ensure the highest quality of product with quickest turn around and competitive prices. Rated your #1 monogram shop on AMAZON. Our items make an easy DIY project or gift! Get your name or any word you'd like put in wood to display beautifully in your home. Receive your order in as soon as 3-5 DAYS! 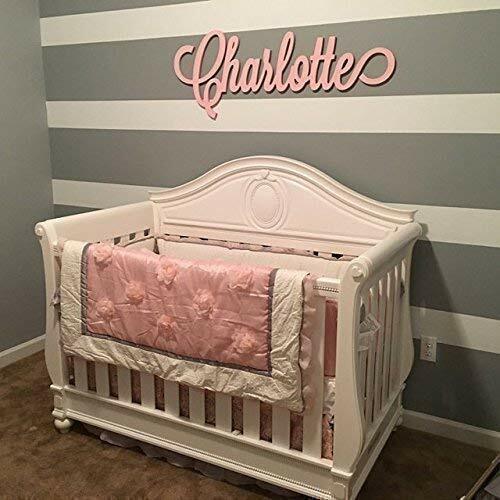 Perfect for children's names in their room/nursery, family last names over the fireplace, or plenty of other fantastic options. We only provide proofs after purchase by request. We do NOT use MDF under any circumstances for your safety and ours! We only use the best wood and source our 1/2" thick 9 Ply Birch directly from Russia. Unpainted items come SANDED ready for PAINT. Our painted items are applied with two premium coats of paint to ensure a high quality smooth finish with sanding between coats. Other shops make you wait weeks or months to get your order. We are putting a STOP to that with our quick turn around service. "Custom" is no longer synonymous with long wait times. We pride ourselves on beautiful products and strive for perfection. We hope you will choose to shop with us, and in return we will extend a 100% customer satisfaction guarantee.